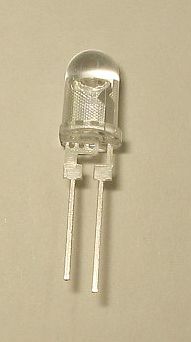 This is one really bright, 5mm Ultra bright Yellow LED. This is nearly one half watt of yellow LED, cornea piercing brightness. Item weight is approximately .1 ounce.